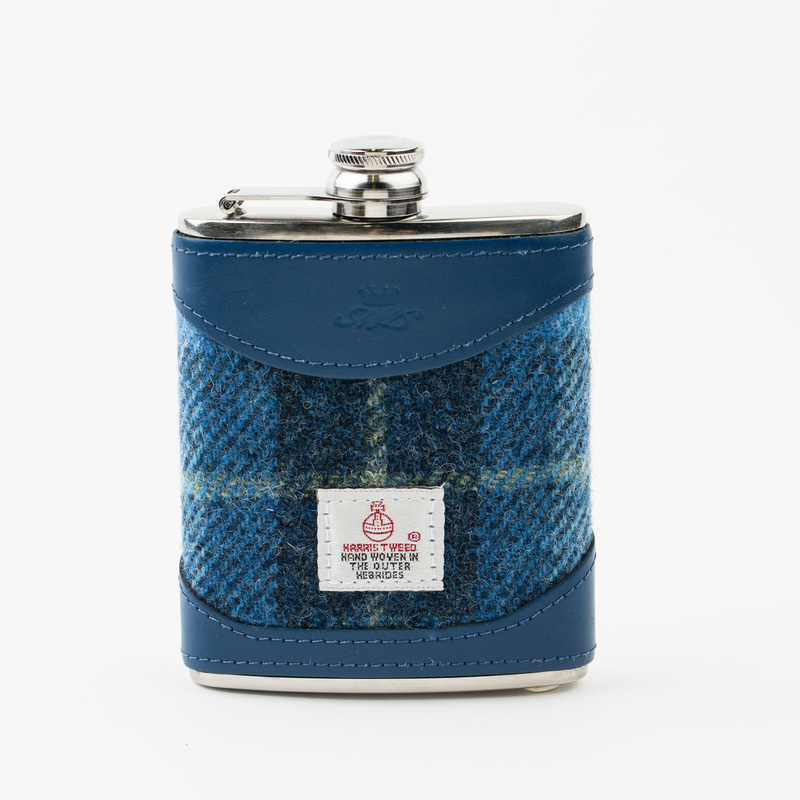 A Harris Tweed and Blue Leather 6oz Hip Flask made by Marlborough of England. 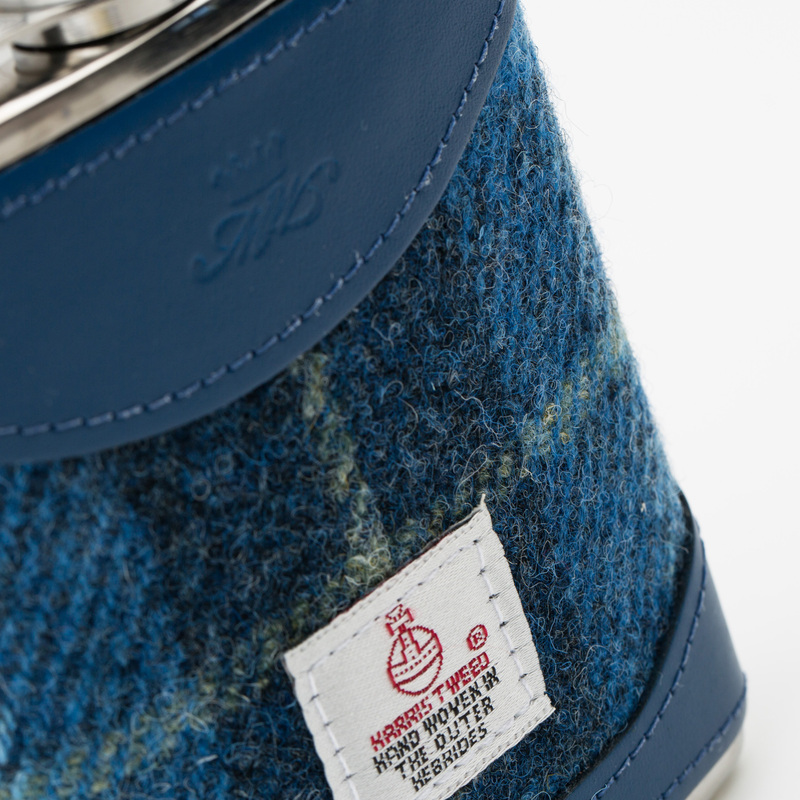 The 6oz flask is covered in Harris Tweed fabric handwoven in the Outer Hebrides and with vegetable tanned leather. Only the finest polished stainless steel is used to produce these flasks and the screw top is fixed to a flexible brass chromed hinge to prevent it from detaching. This 6oz Harris Tweed and Blue Leather Hip Flask will fit perfectly into a pocket and is ideal for days away as well as adventures closer to home.